Showing 1 - 15 of 17 articles tagged "Trading Spaces"
TLC has yet to determine the exact number of episodes for Season 2 of the revival. Paige Davis attributes Trading Spaces' big ratings to the show being "comfort food" in our "scary time"
Davis said the original Trading Spaces took off after the 9/11 attacks, and she's seeing parallels between then and now. 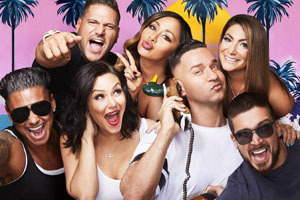 The revival's season premiere averaged 2. Davis first heard about the revival from her friends who read the news. Oosterhouse didn’t attend today’s TV press tour session with the Trading Spaces cast. Paige Davis will also host the six-part competition that will have designers competing against each other.